I love being on of the Renaissance hotel and Boston wedding photographers. 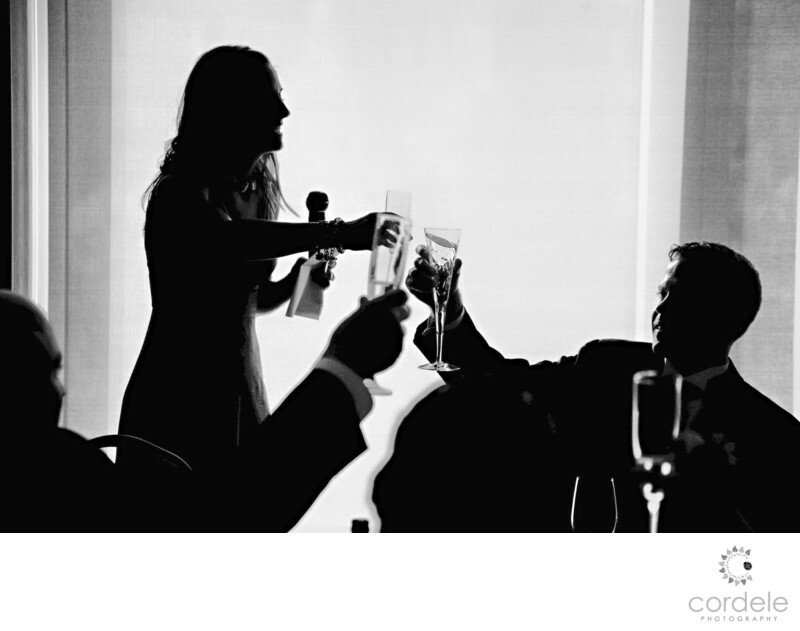 The black and white photo is of the maid of honor toasting the bride and groom after her toast was complete. Truth be told, this photo was an accident. My flash didn't fire, and this was the end result and it's one of my favorites from the collection. It's a silhouette which isn't anything special but its the actions of all those in the photo that make it look unique.